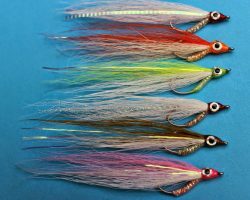 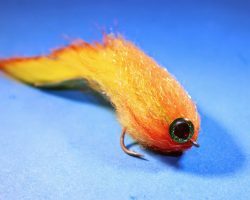 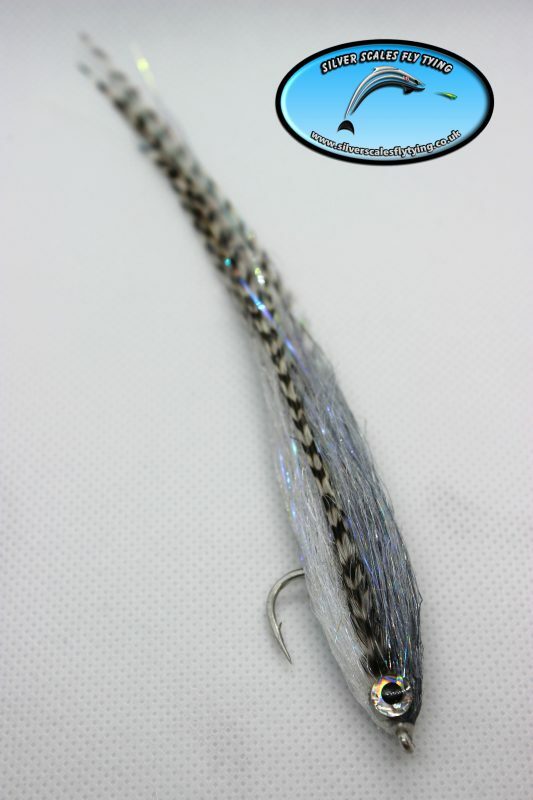 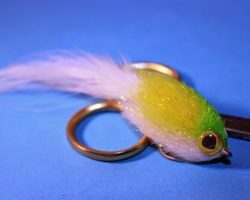 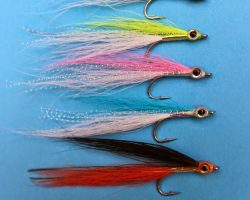 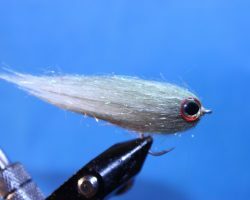 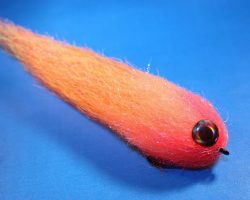 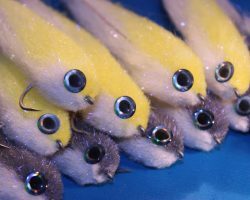 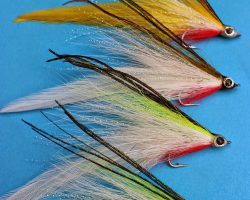 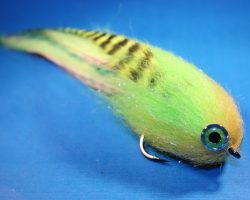 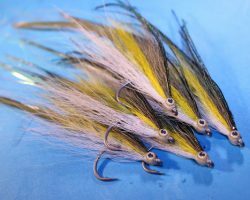 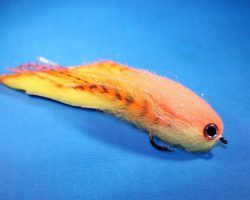 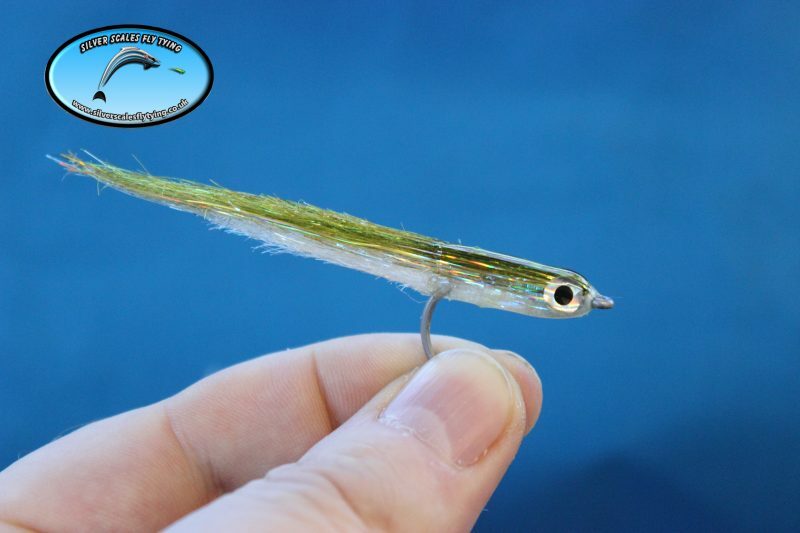 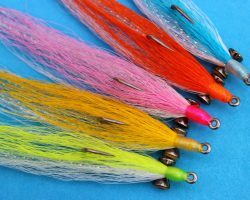 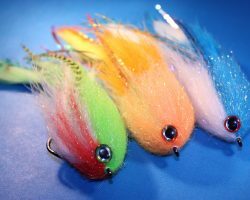 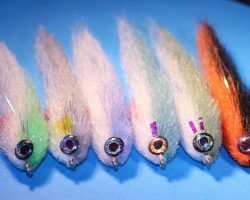 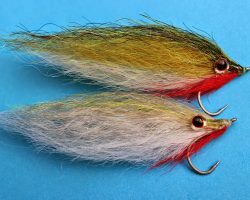 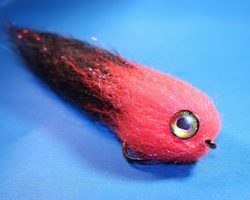 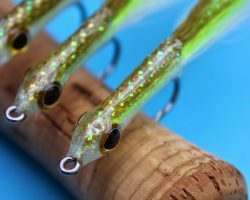 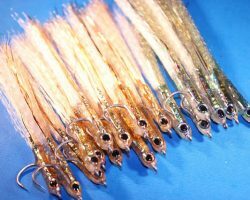 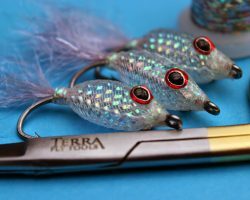 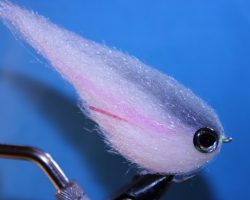 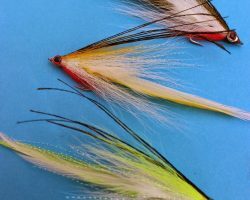 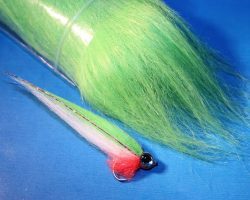 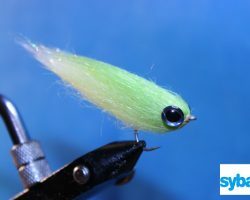 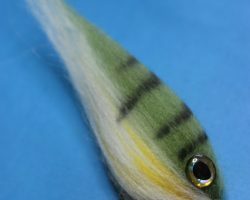 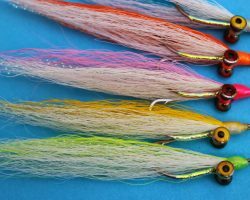 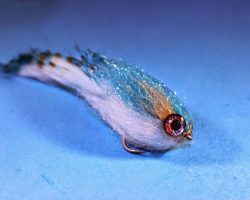 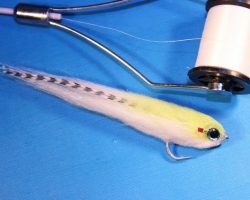 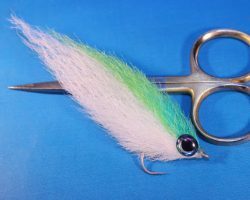 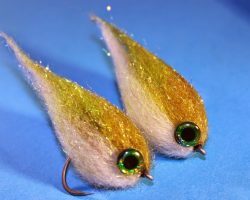 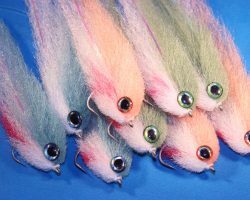 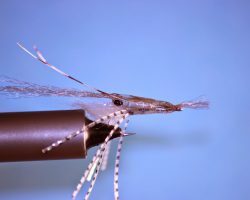 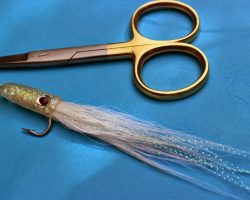 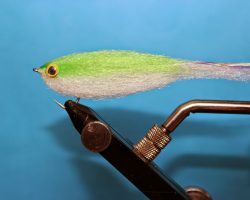 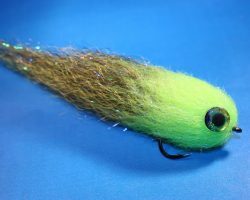 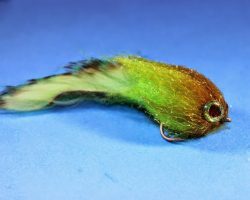 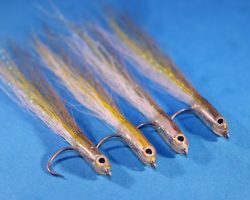 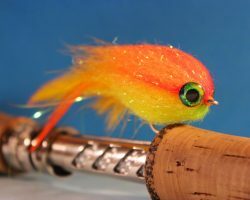 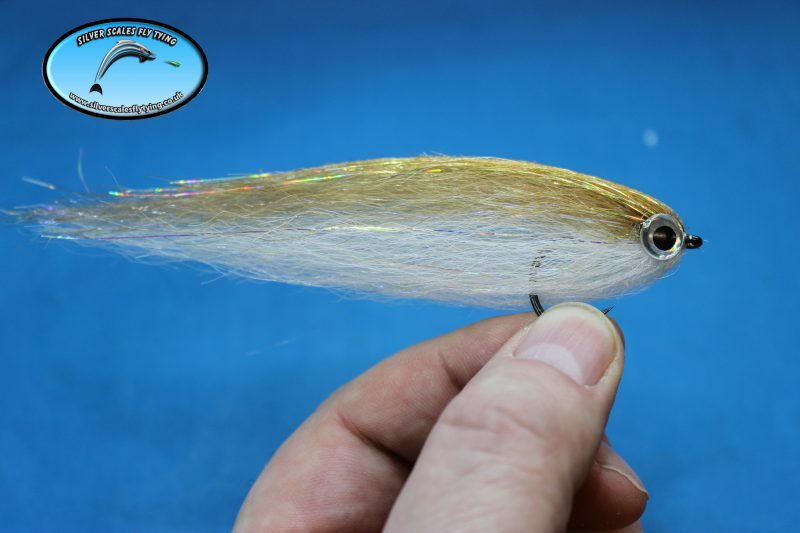 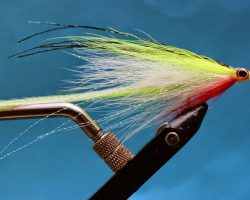 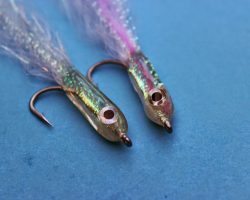 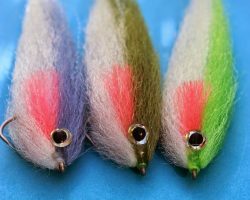 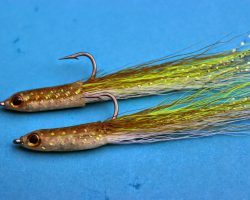 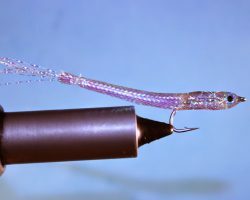 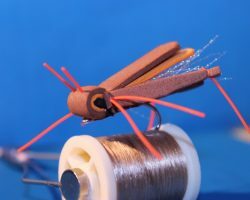 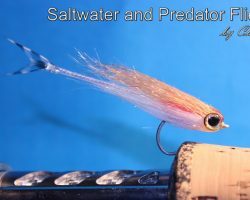 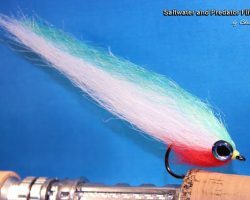 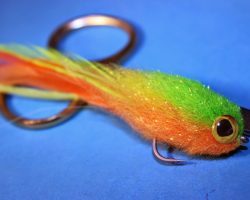 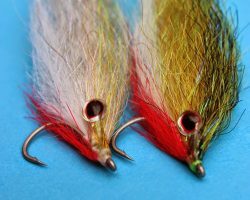 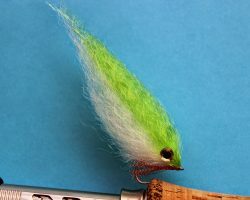 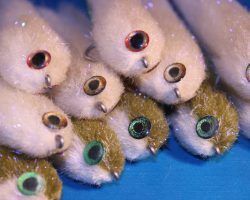 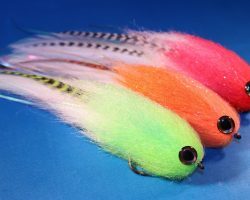 This beautiful material is proving to be very popular, you can create some wonderful flies for both Fresh and Saltwater Predators with it. 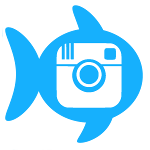 It’s light and mobile and very little is needed to create a good profile. 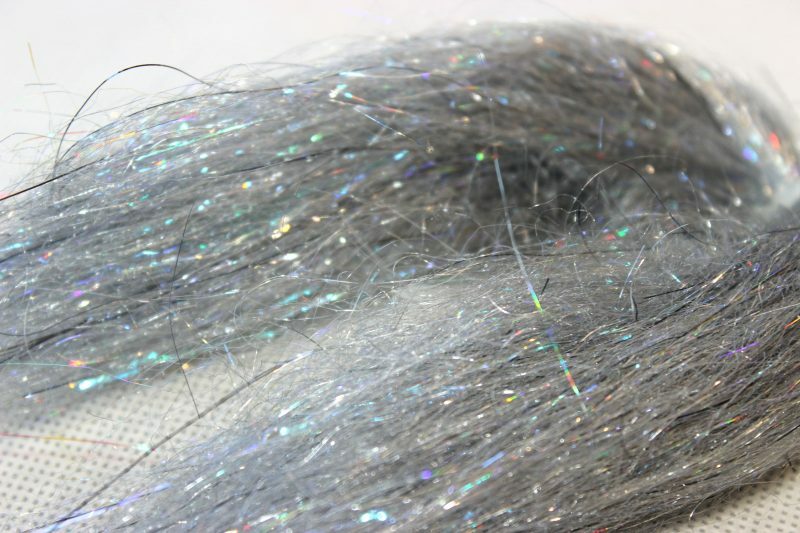 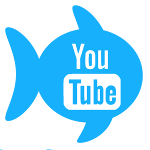 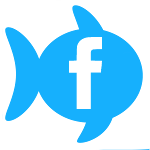 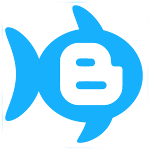 Use it on it’s own or in conjunction with other materials from our range, it works especially well with our Big fish fibre! 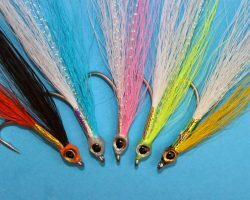 Available in a great range of colours. 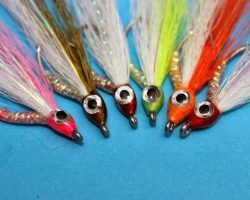 Checkout the pictures below of some of the patterns you can create. 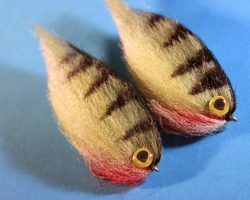 Surf Candy made with Supreme wing hair.